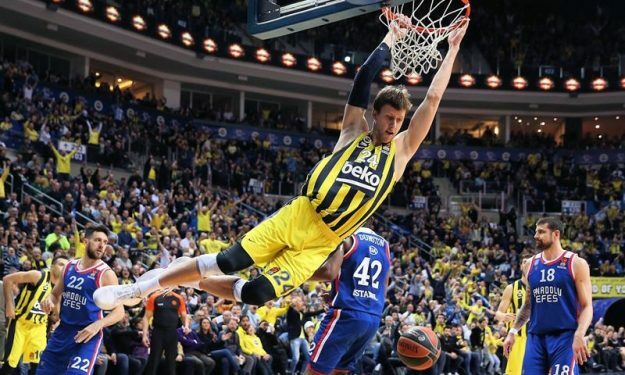 Jan Vesely has certainly been making an MVP case for himself this season as he has helped Fenerbahce stand at the top. Jan Vesely improved his game significantly this season in all areas, especially the free throw shooting making him a nightmare for Fenerbahce‘s opponents. The 28-year-old Czech has averaged 13.1 points, 5.4 rebounds, 2.3 assists, 1.5 steals and 19.2 PIR in 23 EuroLeague games so far. His best one yet was in Round 4 against Anadolu Efes when he posted 24 points, eight boards, seven assists and a steal for total PIR of 36.